You know you’re supposed to file a tax return, but sometimes it drops to the bottom of the to-do list. It’s a big chore to collect all of the documents and then sit down and actually prepare your tax return. It can be an all-day event. You may need to hunt down some tax data. Ain’t nobody got time for that! First of all, if you know you’re not going to file your tax return on time, then file an extension. If you file Form 4868 before the April 15 deadline, it’ll extend your deadline by six months, until October. It’s free and you can do it online, or you can mail it. It takes a few minutes and can save you from costly late-filing penalties. Form 4868 only extends your time to file – your taxes are still due April 15. But the penalties for late filing your return are quite a bit more costly than the penalties for not paying your taxes on time. So file Form 4868 even if you won’t be making a tax payment on time. If the reason you aren’t filing is because you’re afraid of your tax bill, then you should understand that your tax bill won’t go away just because you don’t file – it’ll just get bigger. 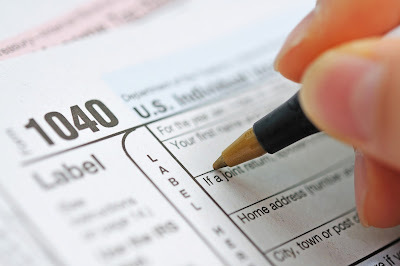 The advantage to filing, even if you can’t afford your taxes, is that you can fairly easily initiate a payment plan with the IRS, and you avoid additional penalties for not filing the tax return. Eventually those taxes are going to catch up to you – it’ll cost you less if you address them head-on in a timely manner. A lot of people don’t file their tax returns because they become self-employed and get busy. The bookkeeping falls behind, so it’s hard to catch up. If you begin to feel like you’re falling behind on your accounting as a self-employed person, there is no shame in hiring an accountant to help. It gets harder and harder to pull together your income and expenses as more time passes. Some self-employed people feel that they didn’t make enough money to justify filing, or they had a loss. It’s important for self-employed individuals to file, even if they didn’t make a lot of money for a couple of reasons. The first is that if your business lost money, you get to carry forward your loss until you make a profit, and then deduct it. So you’re costing yourself money by not filing. The second reason is that the filing threshold is a very low $400 for self-employed individuals. One unreported 1099 is all it takes to cause a problem. Finally, not filing a tax return can be costly for other reasons: You may be eligible for tax credits, such as the Earned Income Tax Credit, or a healthcare subsidy that you didn't realize you could claim. It's very common for people to avoid filing their tax returns, only to discover later that they missed out on some big tax credits.